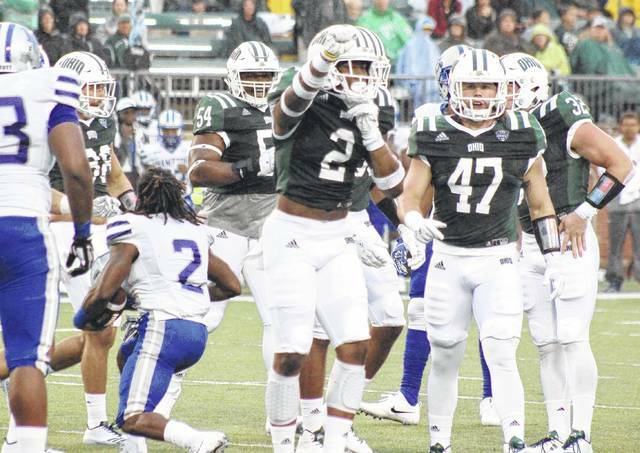 ATHENS, Ohio — The Ohio University football team started the 2017 season on the right foot, rolling to a 59-0 victory over visiting Hampton University on Saturday night at Peden Stadium. The Bobcats ran for seven touchdowns, threw for one, recorded a safety and made a field goal while also outgaining their FCS guest by a 420-108 tally in total offense — including a 248-68 count on the ground. A complete recap of the Ohio’s season-opening victory will appear in the Wednesday publications of The Daily Sentinel, Gallipolis Daily Tribune, and Point Pleasant Register.